Ali Muhammad Brown, 34, has admitted to killing 4 people in a cross country killing spree. The former Seattle resident has reportedly said that he wanted to avenge US policy in the middle east, and that he was on a 'jihad' journey. This past Tuesday, March 6, Brown confessed that he shot and killed 19-year-old student Brendan Tevlin in the summer of 2014 in New Jersey. Brown also admitted to killing Dwone Anderson-Young, 23, and Ahmed Said, 27, after he spotted the two leaving a gay night club in Seattle. Brown confessed to killing a 4th man - Leroy Henderson, 30, in Seattle in late June 2014, after killing the three other victims. Brown surprisingly admitted to committing the killings, and was charged on multiple counts of murder and also terrorism and robbery. 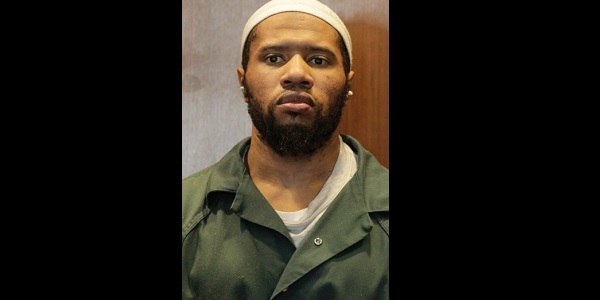 He is the first man to be charged with terrorism in New Jersey under state laws. According to Assistant Essex County Prosecutor Jamel Semper, Brown will stand trial on May, and will likely get life without parole. Brown has expressed remorse for his actions, and claimed he made a mistake, but due to the guilty plea, no deal has been offered to him.